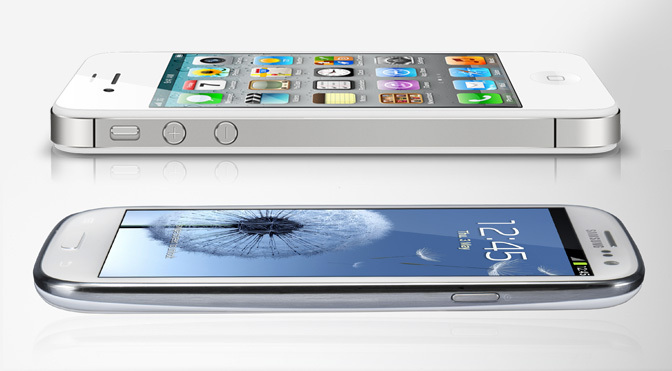 As Apple iPhone's major rival, Samsung Galaxy S' market performance in the year of 2012 is very eye-catching. Let's say you just switched iPhone to Galaxy S, but still hope to use iTunes program to manage your videos, music, photographs, and other forms of media on your Galaxy S handset, in this post I will show you how to sync your Galaxy S with iTunes. 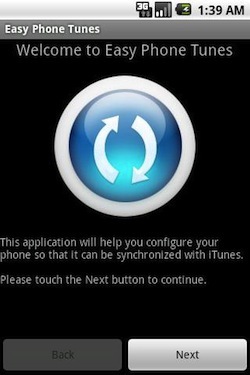 You may know that general Android-based smart phones do not provide any services to sync with iTunes. In order to make the iTunes media contents transferred to Samsung Galaxy S that employs the Android 2.3.6 automatically, we will need to download a free application which permits us to do so. 1. Connect this Android handset to your computer firstly, then open an Internet browser on your computer, and go the Google Play, the largest Android app market, and type "Easy Phone Sync" in site search box. When you find this free app, click the INSTALL icon to install it onto your Samsung Galaxy S phone from Google Play. 2. Go to Media Mushroom's website, download the computer (PC or Mac) client of the "Easy Phone Sync" to your computer's desktop, and then double-click on the "Easy Phone Sync" icon on your desktop to install it on your computer. The computer client is primarily used to make the connectivity and interactivity between iTunes program and Android handset happen. 3. Tap on the "Easy Phone Sync" app on your Galaxy S phone to start up it. 4. Open the "Easy Phone Sync" application from your PC or Mac. 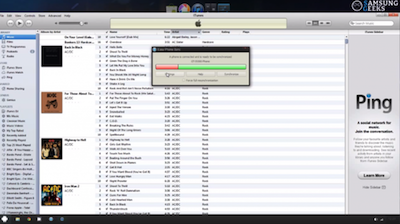 After running it, the iTunes program will also run automatically in the background. Click on the "Settings" to set the media file types which you want to sync. In default, this app will only transfer the music file. But you can add more file types such as saved contacts, text messages, pictures, as well as Non-DRM videos. Note, if you hope to transfer the DRM-protected videos to your Galaxy S phone, you can use the DRM removal software mentioned in the end of this article to re-encode the protected videos to Non-DRM version. 5. After you have finished all the settings, just hit the "Finish" button to let this application start to sync contents from iTunes to the Galaxy S phone. When the sync process is done, unplug your phone and then check if all the transferred files are right. This post has been written by Edwin Lau, he is the founder of this site DRM-Assistant.Com from which you can download a solid iTunes DRM removal program to convert DRM-protected videos/audios purchased from iTunes to Samsung Galaxy S playable file format.